Credit counseling is a great process to help you create a definitive plan to address your financial obligations to different creditors. It provides you with a credit expert or a debt relief professional that will assist you through a concrete and clear-cut program to get your finances on a payment schedule. Not only that, you will be taught the best practices to manage your finances so you do not end up in the same situation again. What you need to understand is when you put yourself too deep in debt, you have displayed that you are incapable of handling your finances properly. That signifies that you need to enlist the help of someone to make you stay in line. Some may think that getting a friend or family member to help may be enough. In truth, that depends on your ability to control yourself. Having someone you know to help out is the cost friendly way to do it but it may not provide you with the desired results. Counseling is best left in the hands of a professional who knows what they are talking about. It can be done through telephone, via the Internet or in person. It can be any agency or company that is certified by the National Foundation for Credit Counseling or NFCC. This service should be provided for free so be wary of those asking for payment. 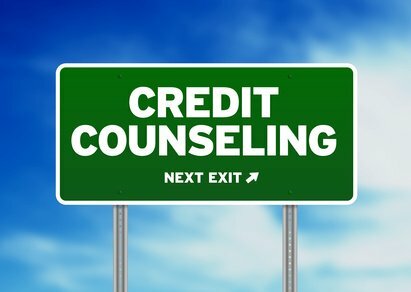 What Happens During Credit Counseling? The whole process will begin with you providing your credit counselor your financial data. This does not mean you have to divulge your account numbers and other important details to give them control over your money and assets. But you need to give them enough so they will understand your financial capabilities. This data will include the following: monthly income, total amount of debt, total monthly payments, household bills, and food/transportation allowance. Make sure the data you will provide is updated and you will not keep anything. If you fail to do so, you may not get the intended result that you are expecting. While discussing your financial situation with the counselor, you will both review the budget that you can afford. Do not be offended if they point out specific spending habits that you have to let go. Trust that the counselor knows what you can live without or not. When you have a firm grasp of your budget and how much you can actually save by eliminating unnecessary spending habits, you can begin to construct a repayment plan for your debts. The financial expert will suggest the best option for you to pay all your financial obligations. There are several debt relief options to choose from. You have debt consolidation that will help combine all your debts with one creditor, debt settlement that will aim to reduce the amount of payments you will give to a creditor and have the rest waived off and other effective payment plans. All of these will be based on your financial capabilities and it is very important that you see them through. A budget plan will be constructed for you and your part in all of this is simple: follow and stick to the plan. If you wish to take the first step in settling your debt problems, NationalDebtRelief.com is here to help you. Call us or fill out the form you see on this page. Someone will get in touch with you to provide assistance.